Candidate Tim Canova announced this week that a lawsuit against Broward Supervisor of Elections Dr. Brenda Snipes found her to have destroyed ballots early, from the 2016 primary election. When the results rolled in, Canova lost by more than 6,100 votes. But he didn’t formally contest the election. Instead, he made a public records request to inspect ballots at the Broward County Supervisor of Elections Office. In June 2017, he filed a lawsuit when he and the office argued over the ballot inspection. “You take for granted that the ballots will be counted properly, and that if you have concerns you can just sort of check under the hood and do a public records request and just put everybody’s minds at ease,” Canova said. More than a year after the election in question, Canova maintains that Broward’s Supervisor of Elections, Dr. Brenda Snipes, ordered the paper ballots to be destroyed before the federally required period of 22 months. Snipes has held the supervisor's position since 2003. She signed a ballot destruction order for the Wasserman Schultz-Canova 2016 race on Sept. 1, 2017. At least in Florida, ballots that are a part of an ongoing lawsuit can’t be destroyed without a judge’s order. Snipes said digital images of the ballots should suffice instead of paper. “There were a lot of changes with the request … I’m sure we’ll be getting through this soon,” Snipes said. Meanwhile, Canova’s campaign was allowed to inspect some precincts digital copies of the ballots. Donna Brazile, former chair of the Democratic National Committee, appeared at the Miami Book Fair last week to promote her newly published account of the 2016 presidential election. Brazile took over for South Florida Congresswoman Debbie Wasserman Schultz as DNC chair in July of that year. In the book, “Hacks: The Inside Story of the Break-ins and Breakdowns That Put Donald Trump in the White House,” Brazile writes about a Democratic Party in deep debt and under the financial control of Hillary Clinton’s presidential campaign. It’s been weeks since Debbie Wasserman Schultz resigned as chair of the Democratic National Committee (DNC), but the fallout from the WikiLeaks email release continues to threaten her congressional campaign. 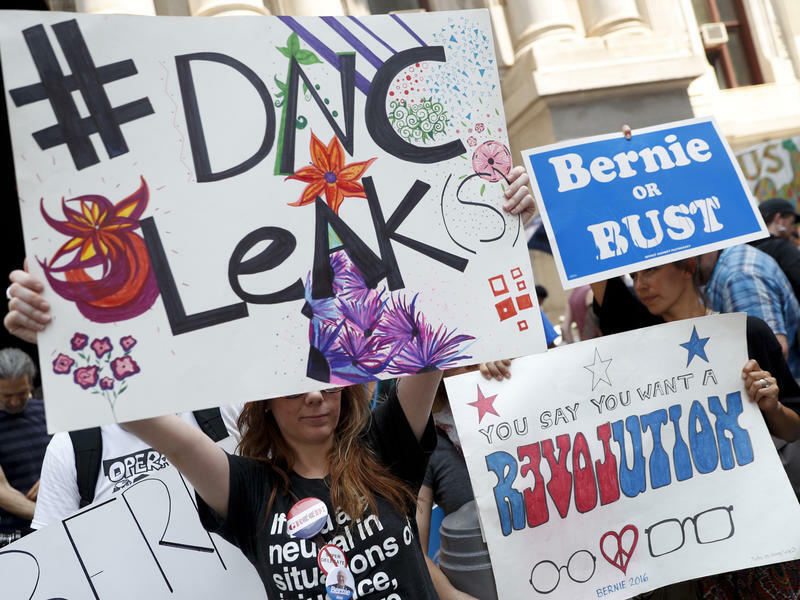 The candidate challenging Wasserman- Schultz for her congressional seat filed a Federal Election Commission (FEC) complaint on Monday for what he says is a misuse of DNC resources.